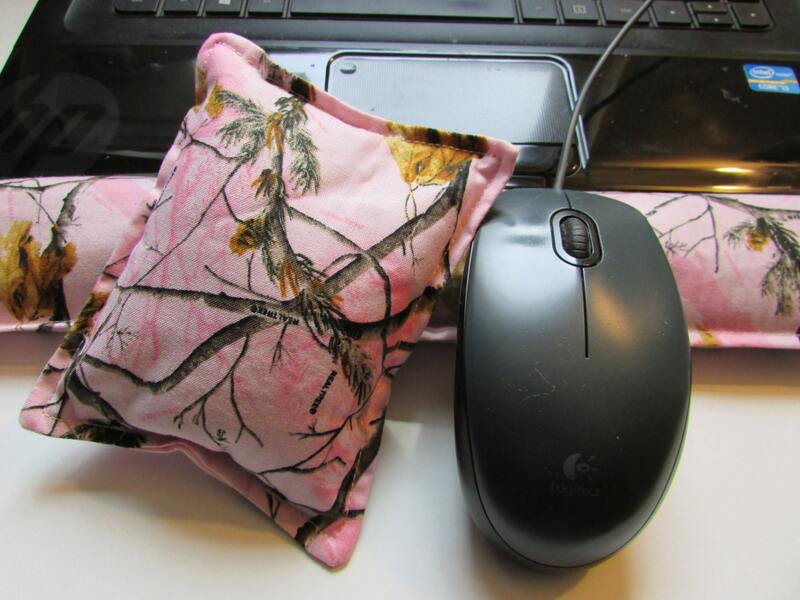 Hot/Cold Keyboard and Mouse Supports give firm support for wrists to help reduce the effects of carpal tunnel syndrome while at the keyboard for long periods of time and daily use. Great for your home and at the office. 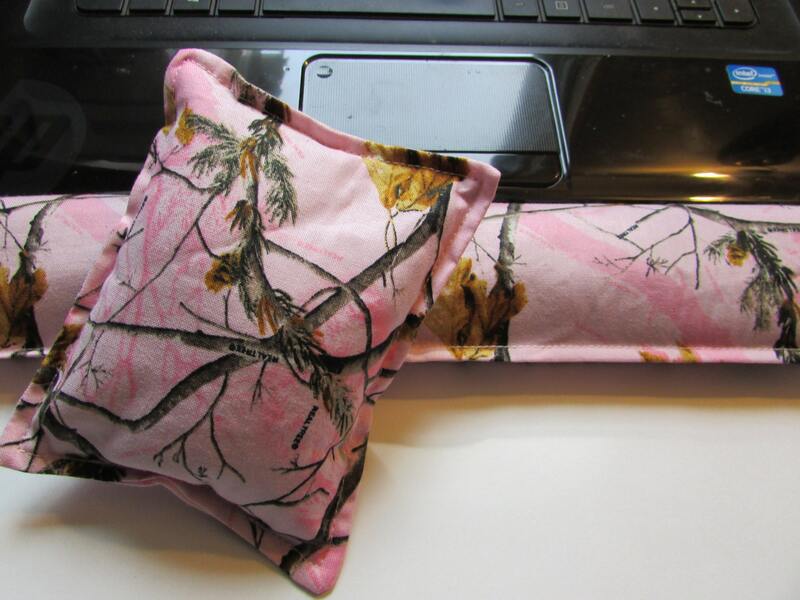 You can use these wrist supports as heat or cold packs as added relief for carpal tunnel discomfort and arthritis pain. Customize to suit your needs! You decide what herb or herbs you want in them from the below list. Combined or just choose one. After your purchase just let me know in the message to seller what you prefer. If you perfer no herbs also let me know in message to seller. Lemon Peel soothes and relieves headaches and migraines and is helpful for rheumatism and arthritis. Sweet Orange is known to soothe nerves and eradicate stress and hypertension. After a long day's work, there is nothing more relaxing than using orange flavoured oil and rejuvenating! Care and Storage: Place pillow(s) in plastic bag and store in freezer thus increasing life of herbs.